Huawei Philippines announced another Android smarthphone called Ascend G525, a 4.5 inch screen size quad core phone that runs on Jelly bean 4.1 Google OS. 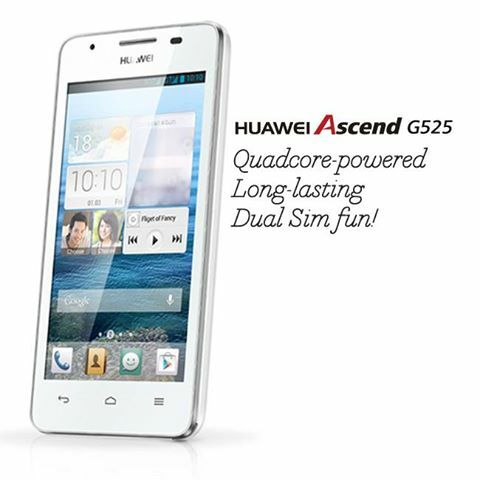 Specs of Ascend G525 are powered up by 1.2GHz quad processor from Qualcomm with 1GB RAM and 4 GB internal storage. If you’re asking how much, this phone has a competitive and affordable price of 6990 pesos which is very pocket friendly. With that amount of money, you’ll get good specs and features in an international known brand. In case you don’t about Huawei, just think of your wireless USB modem and Pocket Wi-Fi. If you think this phone is worth for you, just head to the nearest Huawei stores and reseller to inquire about Ascend G525. 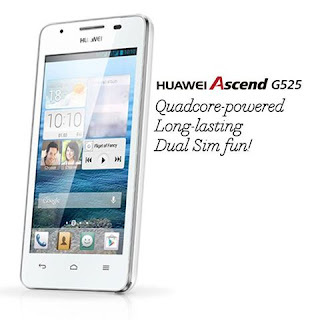 Huawei also is now offering their Ascend Mate that has 6.1 inch screen size - you may read our post here.